Thousand Islands, ON (Thousand Islands Cruise, ON). Departing Toronto in early morning for Thousand Island (*Seasonal Apr to Oct). 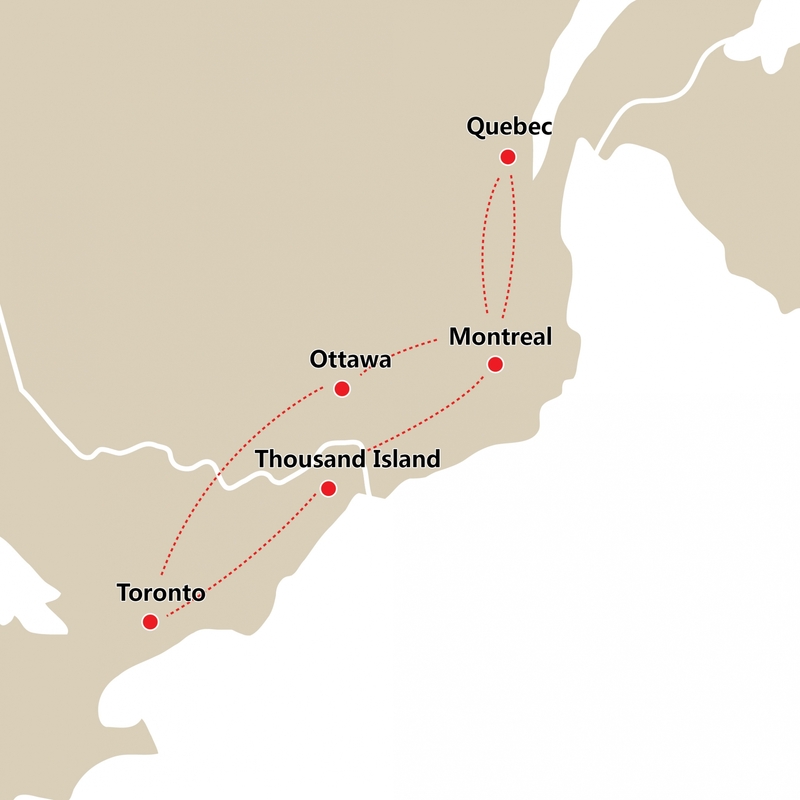 Upon arrival, enjoy a relaxing boat ride cruising along the St. Lawrence River. You will have a chance to view the world famous Boldt Castle, Zavicon Island and Millionaire's row. Continue your journey to Montreal. 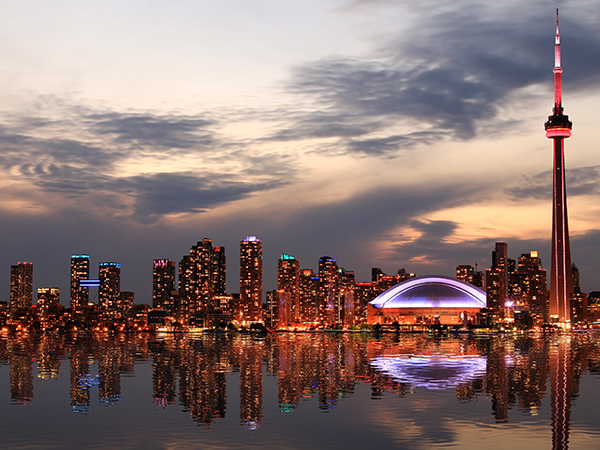 You will first have a chance to visit the Montreal Tower where the 1976 Summer Olympic Games were hosted. You will then visit Botanical Garden, is recognized as one of the world's greatest botanical gardens. With its collection of 22,000 plant species and cultivars, 10 exhibition greenhouses, Frédéric Back Tree Pavilion, and more than 20 thematic gardens spread out over 75 hectares, it's also a perfect place to enjoy fresh air and natural beauty. You will then make your way to Old Montreal to see Montreal's Chinatown and the famous Notre Dame Basilica (photo stop). *Montreal Biodome will be reopen on 2019 Sep. we will visiting Montreal Biodome instead of Botanical Garden. Start your morning sightseeing with Mount Royal where the city is named after. 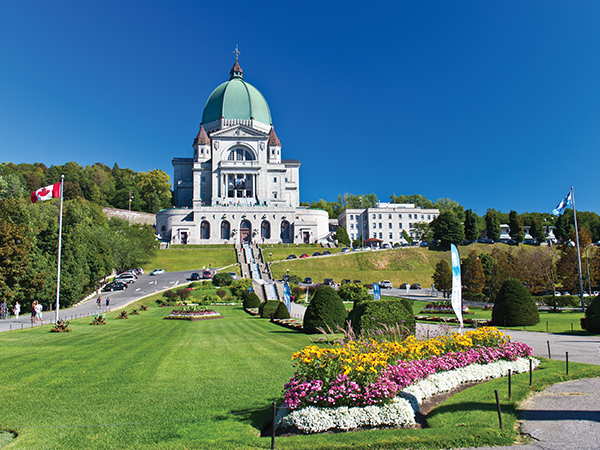 You will then visit the famous St. Joseph's Oratory, regarded as the largest church in Canada. Today's journey then brings you to Old Quebec City where many historic European style buildings are well kept. Check out the Fortifications of Quebec, Chateau Frontenac, and Quebec's Parliament Hill. Perhaps also sip a cup of coffee at the sidewalk café to explore local life style. Return to Montreal in the evening. Departing early morning for Canada's Capital city, Ottawa. 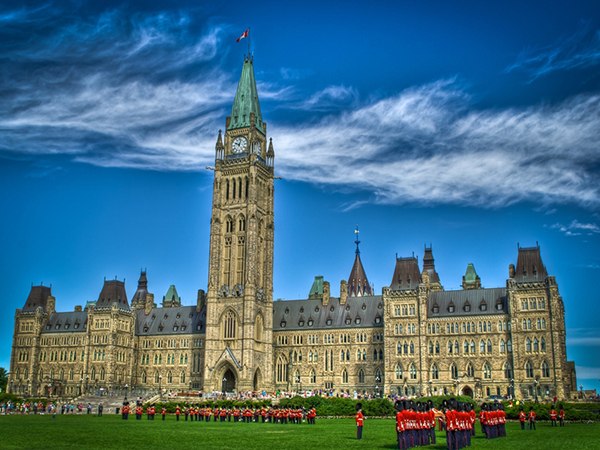 Sightseeing in Ottawa includes the Parliament Hill and Peace Tower, Centennial Flame, Rideau Canal, Canadian War Museum and Civilization Museum. After lunch time, you will start your way back to Toronto via Kingston. Kingston was once the capital city of Canada. You will have a chance to visit Kingston Fortress and the Old Parliament House (now Kingston's City Hall). Arrive Toronto in the late evening. *During Canadian Tulip Festival (May 10 to May 20,2019), will visiting Dow's Lake instead of War Museum.